Did you know that October is Adopt-A-Dog® month? All months are good to adopt a dog from a local animal shelter but October is the month that the American Humane Society goes above and beyond to promote the importance of finding abandoned animals a forever home. The first ever Adopt-A-Dog month occurred in 1981 and has now lasted for 35 straight years. If you are considering getting a new dog, don’t buy it from a pet store or breeder. Adopt instead! There are several animal shelters and rescue groups throughout Auburn and Lincoln, CA to adopt a dog from this October. The Placer County SPCA Adoption & Resource Center is a non-profit organization located in Auburn, CA at 1482 Grass Valley Hwy and is open from noon to 4:30 PM. The facility shelters several dogs up for adoption each month and ensures that interested adopters are paired with the perfect pooch for their home and family. Available dogs for adoption. 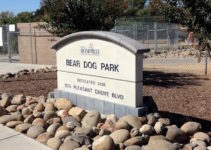 Placer County Animal Services is a government organization and is located at 11251 B Avenue in Auburn and cares for thousands of animals each year. There are over 22 dogs available for adoption at the center. Adoption fees include a heartworm test, spay/neuter, microchipping and rabies vaccination if over 4 months old. Available dogs for adoption. Small Dog Rescue, Inc. is a non-profit organization located in Roseville, CA that rescues dogs under 20 lbs., cares for them and then puts them up for adoption. Interested adopters must fill out an application form and schedule appointments in order to come and visit the dogs available for adoption. There are several other animal shelters and organizations throughout Placer County, CA that offer dogs for adoption during October and throughout the entire year. Chem-Dry of Auburn/Lincoln is a pet-safe carpet cleaning service in Placer County that delivers amazing results for homes and families with dogs. Our carpet cleaning is safe for your dog because we don’t use chemicals, detergents, soaps or sulfates and our solution dries fast! We also offer P.U.R.T.®, an innovative pet urine removal treatment process. Learn more about our carpet cleaning and celebrate Adopt-A-Dog month in October by welcoming a new dog into your home.